"Highly recommend it for companies looking for a tool to create their company report documents." 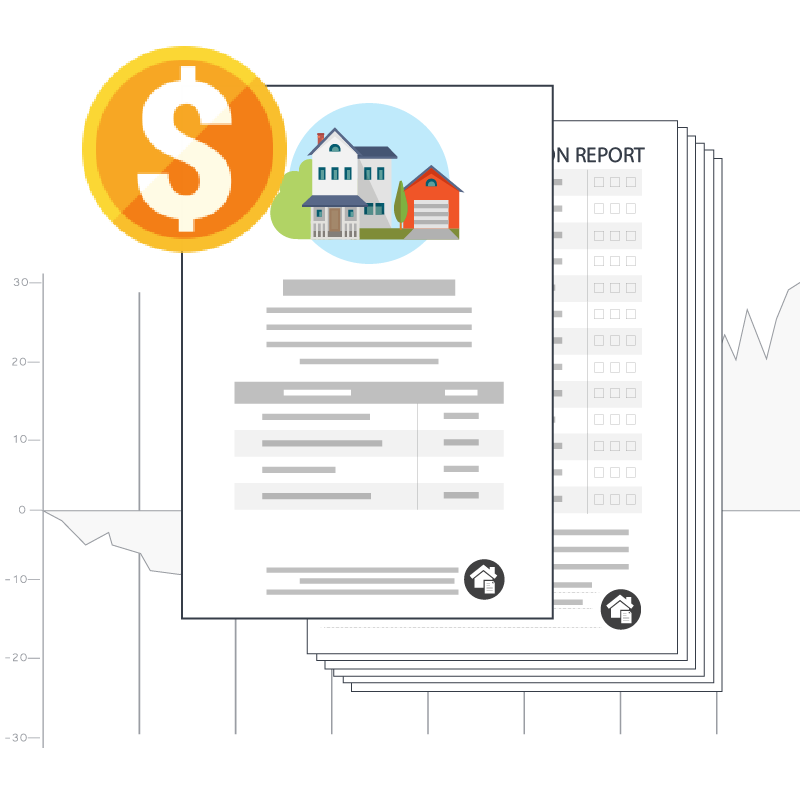 With our user-friendly Windward Designer and powerful Windward Engine, it is unbelievably easy to create visually impressive, data-powered documents (we're equally good at reporting software) embedded in your application that hit the mark every time. Did you know that with Windward, users can create documents in significantly less time and cost compared to other solutions? Our platform enables you to design your own templates so that you can easily scale your document generation process with the power of our ‘smart document’ business logic. This is document generation done well and done right. Windward's Designer is a free-form design environment available as Microsoft Office add-ins for Word, PowerPoint and Excel. These familiar and intuitive builders allow designers and developers to create and edit templates in a fraction of the time it takes with other tools. 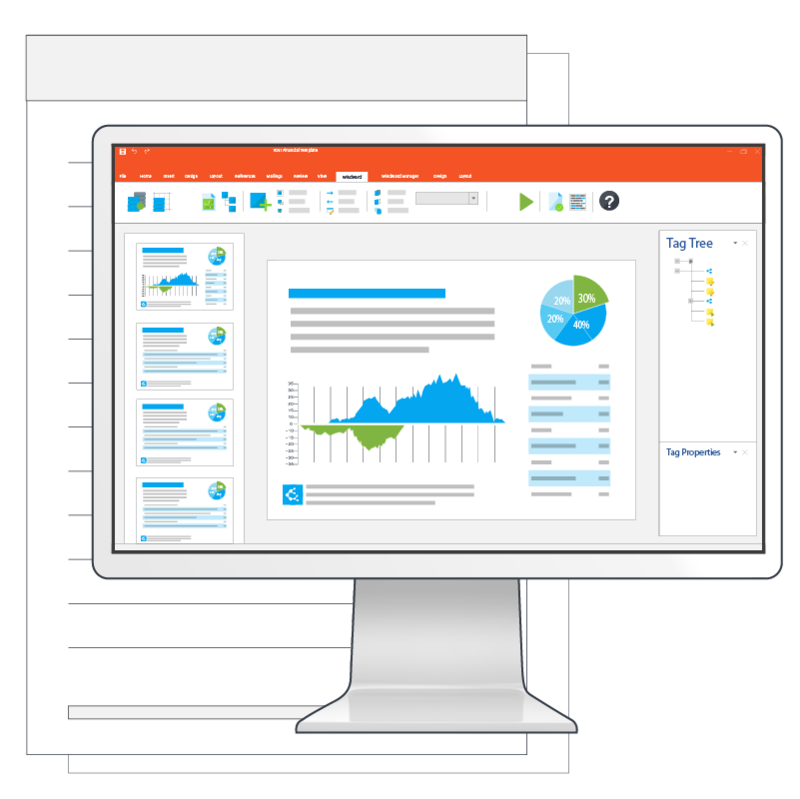 Creating visually stunning documents that people love doesn’t have to be difficult or take forever - Windward makes it incredibly easy and efficient to design, and edit documents using the familiar Microsoft Office Suite with our Windward Designer AddIn. Select your desired layout and formatting using Microsoft Word, Excel, or Powerpoint, then customize your templates with the Windward AddIn, which makes inserting data tags a breeze. Install the Windward Designer and enjoy a design process that doesn’t require any coding experience and can be completed in minutes or hours, not weeks. Insert data tags directly into your content using our Portable Object Doclets (PODS) feature, which allows users to quickly and easily reuse content that they feel may be reusable on other templates, from address blocks and footers to datasource connections. And no matter how complex the query, our wizards make every query easy for business users and developers alike. Easily design and layout visually impressive document templates in Microsoft Word, Powerpoint, or Excel. Quickly access multiple data sources and use our drag and drop feature to incorporate conditional business logic tags. Dramatically decrease design time and costs with a docgen tool that business users can control without any coding skills. Incorporate the data you need with our Data Bin feature. The Windward Engine is a set of embedded code libraries, available in JAVA, .NET, and RESTful, that can be integrated into your new and existing applications. The Engine and Designer work in sync to pair data inputs with stunning designs. Customize your document’s content with dynamic conditional business logic. Seamlessly integrate the Windward Engine with the Windward Designer with just 11-14 lines of code. 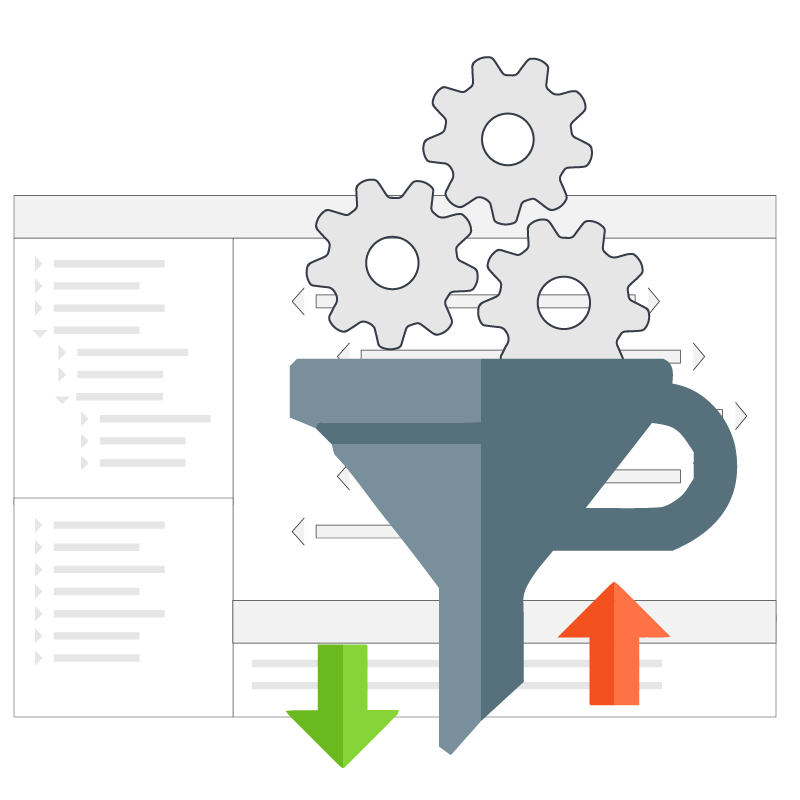 Ready to generate templates against any and all of your data sources? With these hard-working, universal lines of code, now you can. Precisely display the data you want. 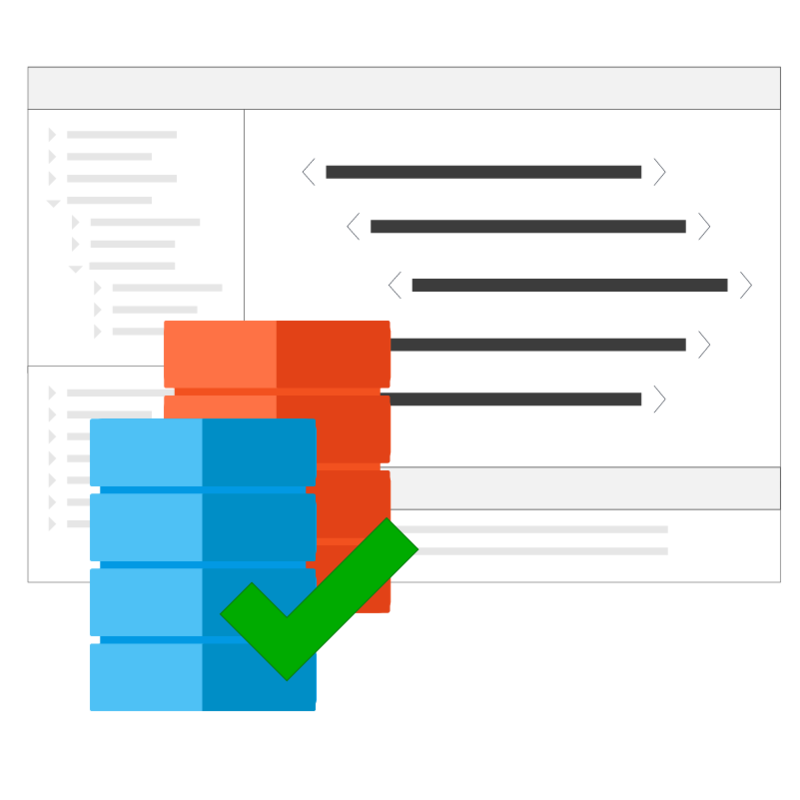 Your application passes us the critical pieces and the Report Engine delivers the final product: the generated document with data merged from your selected datasources based on your inserted tags and specified parameters. Effectively create your desired documents, fully customized to your specifications and available in all popular document formats. Design your template in Word, Excel, PPT in the Windward Designer. Tag desired data to be displayed in your template from your data source and save your new template. Pass your new template and data source(s) to the Windward Engine. Enjoy your newly generated document, hot off the press and returned within seconds. Our customers regularly report savings between 50% to 90% in template design and production costs. How does this happen? 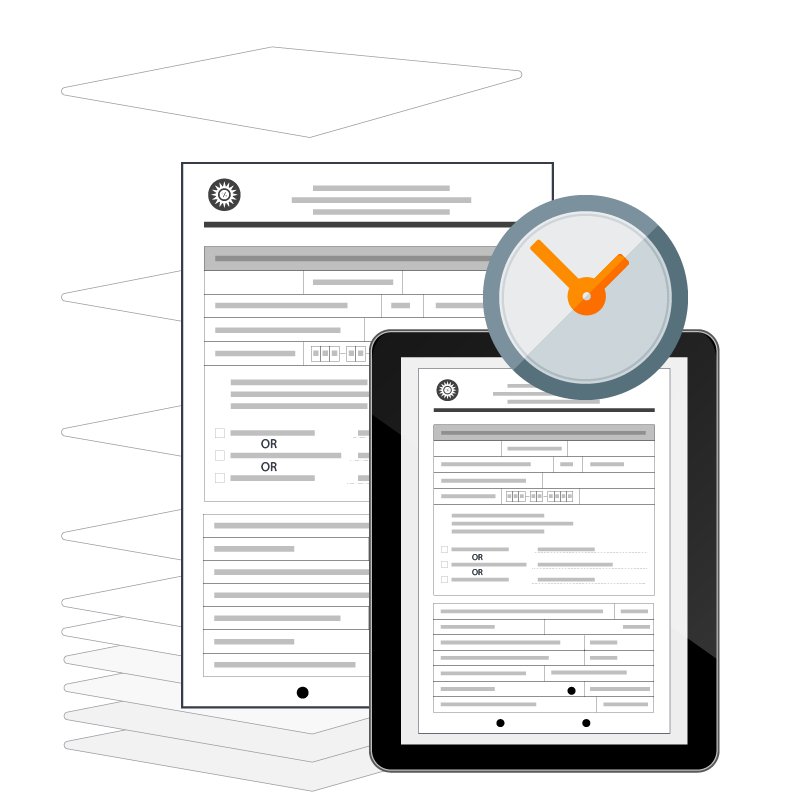 With our solution, business users can self-serve, eliminating all the wasteful back-and-forth and time drains seen in document generation today. Minimize the burden on developers, who can enjoy uninterrupted time to work on critical development tasks instead of spending time on simple layout changes. Business users design and pass along their templates to the developer team, who can quickly embed them within their applications without having to know template specific details. Once templates are embedded, business users simply use the Engine to pair their selected template with the desired data, creating exactly what they want without relying on other departments’ schedules and availability. If you do have a developer work on your report, don’t sweat it - template creation time is a fraction of what it is compared to alternative solutions for developers too. That’s time and money you get to save. Have you ever used Microsoft Office before? We thought so - which is why we’ve designed our Windward Designer platform to work within the Microsoft Office Suite. Our platform serves as an add-in feature to Microsoft Office, combining our expertise in data-powered document generation with the familiar formatting and layout features of Microsoft Office. Our tool minimizes new user training and eliminates any required programming skills to create visually stunning documents that look precisely the way you want, quickly and easily. Integrating Windward’s solution into new and existing applications is a snap. You can embed Windward with as little as 10-14 lines of code, which we provide in various coding languages for your convenience (JAVA, .NET and RESTful). Embed this universal code once and enjoy endless document generation potential. Our Windward Engine can be deployed on your existing server along with other applications, or on a dedicated server to accommodate your specific performance and security needs. 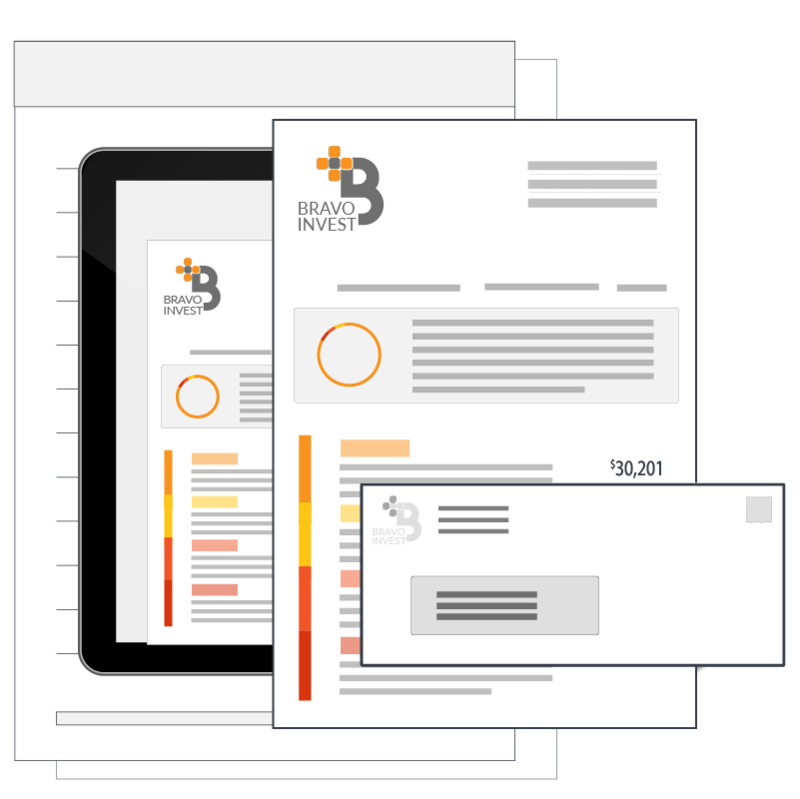 With no layout restrictions and powerful native Office functionality, you can create absolutely beautiful documents that your customers will love faster and simpler than ever before! The result is precise, powerful data combined with impressive visuals that translate into flexible, scalable documents that meet your specific customers’ needs every time. Weeks or months in template creation, data integration, and wasteful back-and-forth collaboration across departments using alternative solutions translates into days or just a day with Windward’s solution. What used to be weeks or months now takes hours, sometimes minutes. Yes, our tool is that much more advanced over what you’ve been using before. If you think it’s time for a change, you’re probably right. Not only do we take less developer time to create well-designed documents, Windward also cuts down the overall lead-time for creating such documents, so that developers can meet internal demands for document generation on time and in style.